I would be grateful if readers could spend a few minutes filling in Bevelery’s questionnaire…here. It is a fairly common programming scenario to find ourselves with a list of identical objects. In the past, without adequate support from programming languages, we found ourselves writing a lot of searching and sorting code, and that may have put you off using lists in favour of arrays. All that has changed with C# (particularly 2.0) – its implementation of a list makes handling such lists remarkably easy. Lists are powerful and result in fewer, and more elegant, lines of code. Hopefully this short example has demonstrated their ease and you will find yourself using them in your day-to-day development activities. interoute sent me a new tie! Those nice folks over at interoute sent me a super new tie! Thanks folks! I don’t really know what I did to deserve it, but hey, it’s my kinda tie! Actually, they sent it to my previous employer: one of my former colleages was kind enough to give me a call to arrange collection! If anyone from interoute picks up on this, send me an e-mail via this web-site and we can sort out a new address! I am pleased to announce that you may now vote for those sessions that you would like to see on the DeveloperDeveloperDeveloper 3 agenda! There’s a great line up of speakers available to choose from – some of whom are travelling from further afield to be here! And it sees the return of some familiar speakers, such as Steve Scott. With Test-Driven Development (TDD) now entering the mainstream via such tools as NUnit and more recently Visual Studio 2005 Team System (VSTS), you may be wondering how to “get more” from TDD. I believe that we can improve the quality of our application by using a combination of TDD and code coverage. no longer is it acceptable to have unit tests on their own, we must know how well written the unit tests are, how much of the classes under test are really being tested? Over the course of 60 minutes I will introduce the benefits of code coverage using both manual methods and automated tools. I will briefly introduce TDD and will go on to demonstrate the benefits of using code coverage tools against your unit tests, i.e. how well do your tests exercise your classes/application? Whilst I will be using Visual Studio 2005 and C#, I will discuss Visual Studio 2003 compatibility too. I will be looking at a handful of the code coverage tools that are available, both free and commercial. If you would like to see this session, please vote for it! And if there’s anything you would like me to cover in this session, please feel free to send me an e-mail or leave a comment here! After deliberating for a month or two, I’ve finally upgraded this blog to WordPress 2.02. A Spam Karma upgrade was applied too. I found myself needing to re-work some code that was originally part of my WMI presentation from 2003. Here’s a link to more information about this on the MSDN. 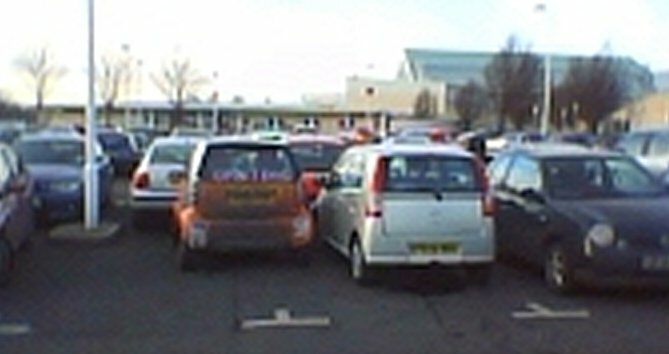 I might have been inclined to park across the two spaces, i.e. 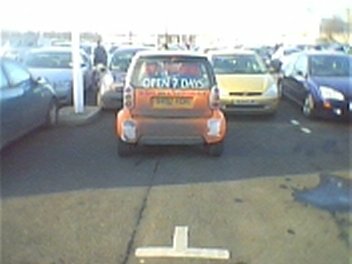 just behind the Smart car thus preventing her (or his) escape – there is space for a whole car in the area to the rear of the Smart car! 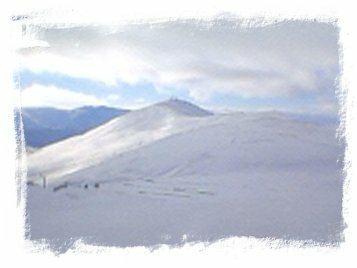 A couple of us made it to Glenshee today. Conditions were good, all runs were open. 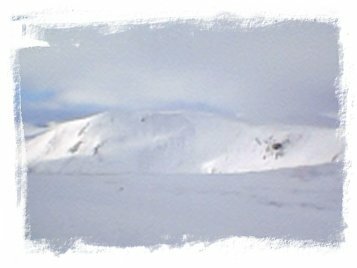 The Meahl Odhar poma gave up the ghost, which meant getting to Glas Maol awkward…and getting to Meahl Odhar itself was a no-no. We stuck to the west side (right-hand side of this), focusing our time on Butchart’s Coire and Carn Aosda. I am pleased to announce that Quality Training (Scotland) Ltd are running a series of developer-oriented events here in Scotland. The first event takes place in Aberdeen on the 26th of April 2006. A second event takes place in Glasgow on the 9th of May 2006. Microsoft Office System 2007 – The Next Big Thing! SQL Server 2005 – What’s New? Both events promise to offer an Exhibition area, a Hands on Labs area and the Ask The Experts area; lunch, refreshments and networking opportunities. I came upon an Excel annoyance last week. I have hit upon it before, but this week, I needed to find a solution. The annoyance is this: merged cells that contain a lot of text do not automatically see their row size grow to fit the amount of test. The solution is manual: you can resize the row manually, however you cannot double click on the row dividers and let Excel increase the row size to suit the amount of text in the merged cells. Here’s a little more background to the problem. The screenshot below demonstrates that we can have a single (non-merged) cell word wrap correctly. However it does mean that the entire width of column A is affected, thus the date is pushed to the right. Perhaps this is best explained by use of an example spreadsheet. It is the last two lines of code that perform the same function as double clicking on the row divider, thus the row grows to the correct height (albeit of the copied cell, Z1). How well have your tests exercised your code? Over the course of this posting I plan to demonstrate a number of tools and topics that encompass “testing”. I’ll be looking at code coverage – how much of our code is “exercised” or used. I’ll be looking at tools that can help us with code coverage. I’ll focus on using NUnit for testing and will demonstrate how we can tie it into the code coverage activity. Finally, I’ll be looking how we can integrate all of this good stuff into the Visual Studio IDE…using TestDriven.NET. These four topics will demonstrate two things. Firstly, the benefit of using a code coverage tool to help you learn more about your application and the way that it works. Secondly, how that added benefit of a set of unit tests coupled with a code coverage tool can yield increased levels of confidence in your application’s testing strategy. Of course, prior to code coverage tools being automated, the simplest form of code coverage was the debugger: even as recently as 1998 I recall laboriously slaving over the Delphi debugger whilst I was “testing” my application. It was worth the toil, the few additional bugs that came to light meant that the application had years of trouble free use. Now, with code coverage integrated into the IDE, and with unit tests sitting side-by-side with the application source code, the time required to run the tests and perform a code coverage analysis is so short, it can be done with every build. TestDriven.NET provides an integration layer between a number of testing frameworks, such as NUnit, and the IDE. Before TestDriven.NET, we would write our tests, write some code, build everything and then we would fire up a separate application that would run the tests (e.g. the NUnit front-end). Generally this is/was fine as the benefits of test execution greatly outweighed the use of a secondary application. Whilst the NUnit front-end allows us to choose which tests we want to run (as opposed to running all tests), we still find ourselves leaving the IDE and jumping into another application. So, in addition to integrating NUnit into the Visual Studio IDE, it also provides integration with NCover and NCoverExplorer. For the purposes of this posting, I am going to do and explain things in a slightly “out of order” fashion. I know that I have mentioned test-driven development already, and by rights we should be developing our application in that fashion. However, I would like to introduce code coverage first. Luckily the example that I plan to use is so simple, it could almost be tested without the need for test-driven development. The example that I plan to use to demonstrate code coverage is that of a simple calculator – I could have been more original, I apologise for my banality! Here’s a little front-end WinForms application that makes use of [some] the MyCalculator class. So, having compiled CalcApp, we can submit the .exe to NCover. Before we do that, it’s probably useful if I introduce NCover. NCover is a command-line tool that scans your application’s code and records information about which lines of code were executed. NCover uses the “sequence points” that the compiler generates and stores in the .pdb file (debug information) to determine which lines of code are executed and how frequently. Without getting bogged down in detail, a sequence point is essentially a single program state or a line of code. /c Command line to launch profiled application. /a List of assemblies to profile. i.e. "MyAssembly1;MyAssembly2"
After NCover has analysed your code, it creates two files: coverage.log and coverage.xml.. The .log file contains the events and messages that NCover creates as it analyses your code base. The .xml file is very it all happens: it contains NCover’s analysis of your code base. There is a third file, coverage.xsl. It’s an XSL stylesheet that takes coverage.xml as its input, allowing it to be displayed in a neat tabular fashion inside Internet Explorer. It’s important to note that the Coverage menu option is context sensitive. Depending upon “where” you right click, say either on the CalcApp solution or the TestLibrary, NCover will be invoked for the item you right clicked on. We will see this difference emerge later on in this posting when we demonstrate the difference between code coverage for CalcApp vs. code coverage for our NUnit tests. Now, you may recall that I only implemented the “add” calculation. This is deliberate as I need to use the missing calculations to demonstrate code coverage. Coverage.xml is too large to reprint here and it’s not all that easy to read. Fortunately, NCover’s author realised this and created an XSL (stylesheet) that transforms the XML into something a) more readable and b) more useful. The screenshot below presents a snapshot of that output – notice the green bars and red bars, we’re clearly in the ‘testing’ domain now. The full NCover coverage.xml file can be viewed here. From this report, we can easily see that we’ve only covered 25% of the MyCalculator class. However, and this is a key point, in order to get this far, we had to perform manual testing. We had run the application “through NCover” such that it could watch what was happening. We had to enter the number 38 and 4 and we had to move the mouse and click on the Add button. Whilst this is a better than stepping though code with the debugger, it’s not automated therefore it’s not repeatable. Without going into too much detail about test-driven development and NUnit (further information can be found in the Resources section of this post), our next step is to prepare a new class that allows us to test the MyCalculator class. In reality, we would have written our tests before writing the MyCalculator class, we’re doing things in a slightly different order for the sake of this post. So, using Visual Studio we simply add a new Class Library to our solution, add a reference to the ClassUnderTest namespace and we’re off. The following code demonstrates how we might use the NUnit testing framework to exercise MyCalculator. Whilst not an NUnit requirement, I prefer to name my test methods with the prefix “test”, other unit testing frameworks may vary. As you can see, we’re simply recreating the manual test that we performed using the desktop application and we’re still only testing the “add” method. Inviting NUnit to run these tests, in the absence of TestDriven.NET, would mean leaving the IDE. However, with TestDriven.NET, we can right click on the TestLibrary and run the tests using NUnit. The screenshot below presents the output from the NUnit front-end. It clearly demonstrates that the test for addition succeeded and with that we gain the confidence that “everything’s working”. However, what it doesn’t tell us is the fact that we’ve missed out testing some 75% of the MyCalculator class. For that, we need to use NCover on our tests. The key takeaway from this screenshot, and indeed this posting, is the fact that we have automated our test and our code coverage: we can see in a single screenshot how well our tests are exercising our code. I discovered NCover and NCoverExplorer via a couple of blog posts and was suitably impressed – I am always on the look out for ways of ensuring that my applications are as well tested as they can be. After all, there is nothing worse than a stream of ‘phone calls from your users each complaining about a show stopping crash or feature that does not appear to work. With careful use of the tools mentioned above, we can get ensure that our applications are tested and that we have no code that is unused. Code that is unused is often the source of bugs or feature failures. In the past, without tests and without code coverage tools, we had to resort to using a debugger to test all paths through our code – that was a laborious process fraught with repetition and boredom. My recommendation: install NCover, install NCoverExplorer, install NUnit, install TestDriven.NET.